Welcome to the Annual Holiday Variety Show and Christmas Pageant at St. Everybody’s Non-Denominational Universalist Church, where all faiths are welcome because we’ll believe anything. 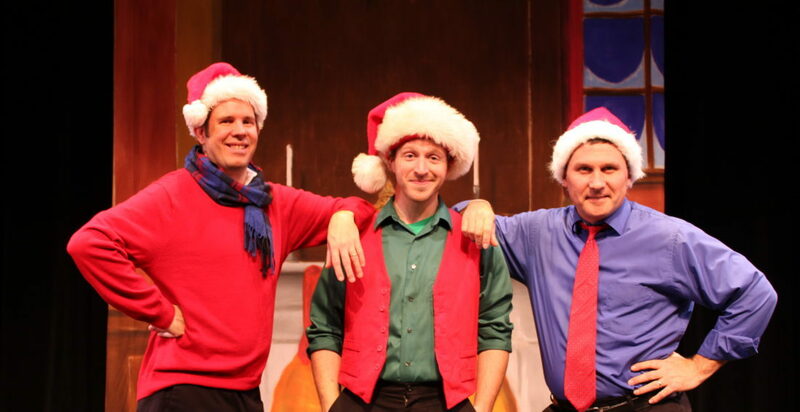 But there’s a problem: None of the acts scheduled to perform have arrived, so the three members of the Reduced Shakespeare Company are pressed into service to perform the entire Variety Show and Christmas Pageant by themselves. 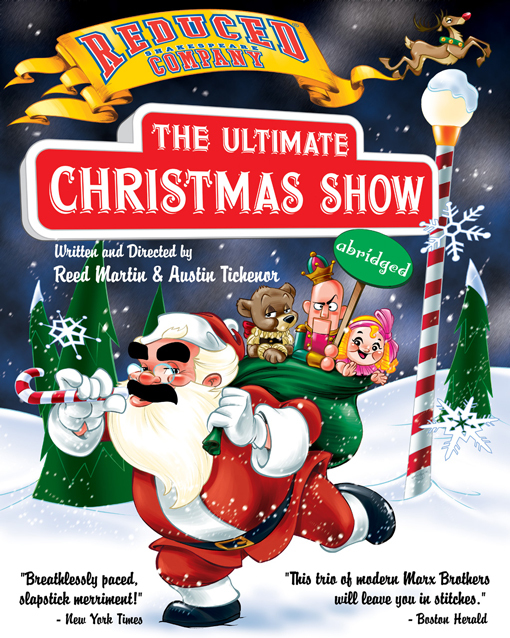 The fruitcakes of the Reduced Shakespeare Company take you on an irreverent yet heartwarming trip through the holidays in The Ultimate Christmas Show (abridged). It’s festive funny physical family fun as these Three Wise Guys send-up and celebrate your favorite winter holiday traditions. 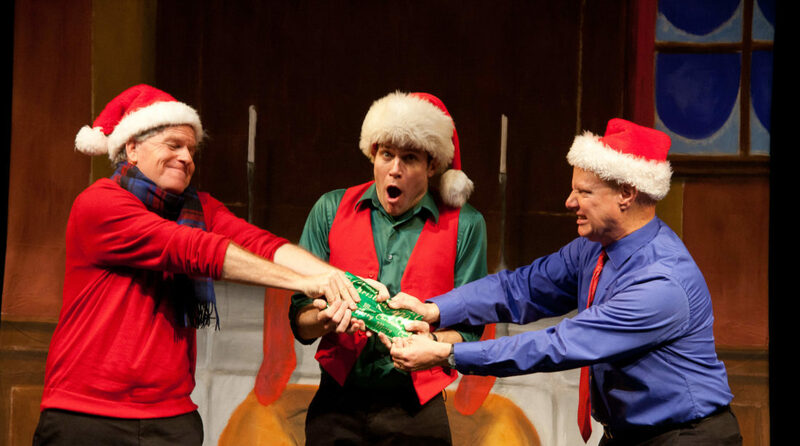 You can even bring a wrapped Christmas gift of $5 value or less and participate in the audience gift exchange. Let the RSC rekindle the joy, inner-child and familial dysfunction inside us all!